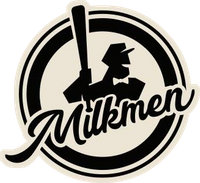 Franklin, Wisconsin(April 9, 2019) – Due to weather-related construction delays at Routine Field in Franklin, Wisc., the American Association has moved the first five home series for the expansion Milwaukee Milkmen’s 2019 schedule to Kokomo Municipal Stadium in Kokomo, Ind. The Milkmen’s Routine Field opener is now scheduled for Monday, June 24 against the Gary SouthShore RailCats. The series affected by this location change are: May 24-26 vs. Chicago Dogs; May 31-June 2 vs. Lincoln Saltdogs; June 3-6 vs. Kansas City T-Bones; June 11-13 vs. Sioux Falls Canaries; June 14-16 vs. Winnipeg Goldeyes. Final dates and game times in Kokomo will be announced in coming days. A flexible exchange policy will allow fans who have purchased ticket packages to make adjustments as needed. Season ticket holders will receive a pro-rated refund based on 16 fewer games scheduled for Routine Field, a 4,000-seat stadium. Kokomo Municipal Stadium is currently the home to the Kokomo Jackrabbits of the Northwoods League. The stadium, which opened in 2015, has seating for 4,000 and has twice (2015 & 2016) been named Best Summer Collegiate Facility by Ballpark Digest. ROC Ventures manages a collection of brands in the sports, entertainment, and real estate sectors. These include the Milwaukee Wave, The Rock Sports Complex, two Summer College Baseball Franchises, and the Ballpark Commons development. ROC stands for “Return on Community,” a goal which informs each and every endeavor undertaken by the organization. For more information, visit www.rocventures.org. The American Association of Independent Professional Baseball is a league founded in 2005. The original American Association was formed in 1902 as an independent minor league for the larger cities in the midwestern area of the United States. The Milwaukee Brewers were original members and part of the American Association for over 50 years. Current Brewers Junior Guerra and Aaron Wilkerson are products of American Association teams.